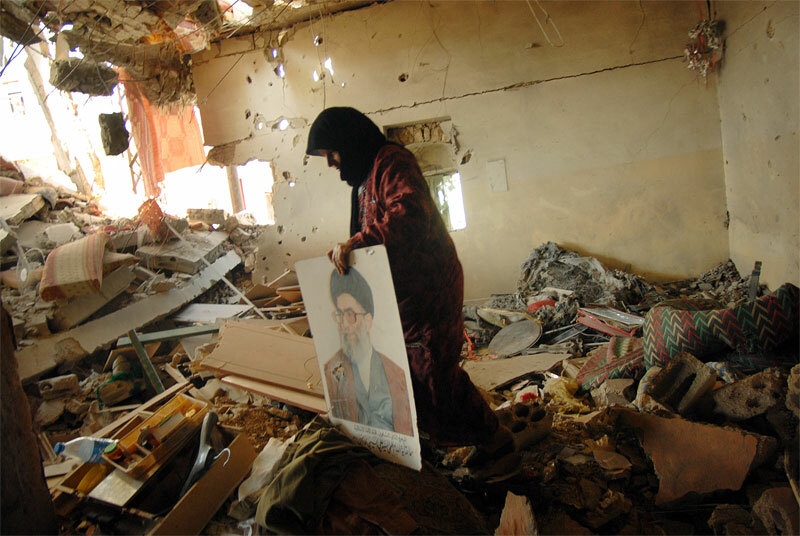 Lebanese sisters from the Haj Hassan family lay out posters of Ayatollah Ali Khameini, Iran's Supreme Leader, in the village of Ait al Chab in southern Lebanon, August 25, 2006. Shiite Clerics are revered around southern Lebanon, and images of them can be seen in homes and on the streets throughout. Up to 6,900 European troops have been pledged to the expanded United Nations peacekeeping force in southern Lebanon, European officials said today.